Interesting Development happening in Bank Nifty Futures on the daily charts. Bank Nifty Futures had broken the 15 days of consolidation movement with a strong breakout and also close below the bottom of the consolidation zone 18760. This post is to analyze whether the breakout is really strong or not. Market Sentiment is really negative and the last fridays sentiment continued on monday as well. 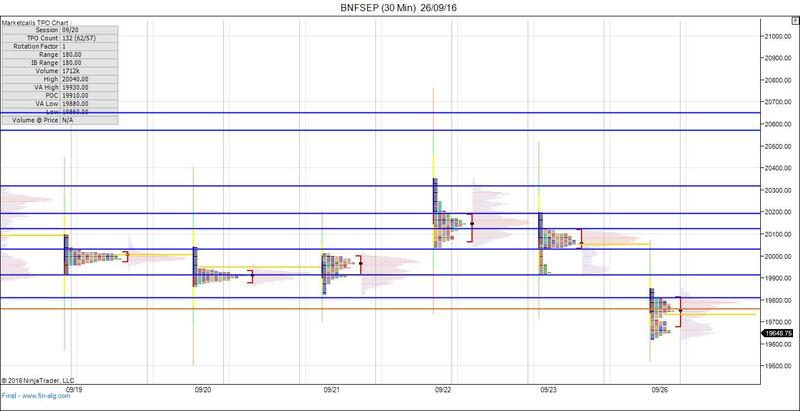 Bank Nifty Futures formed a double distribution on Monday. By Reading the Bank Nifty September Futures profile charts you could witness only shorter timeframe sellers are driving the market so far. 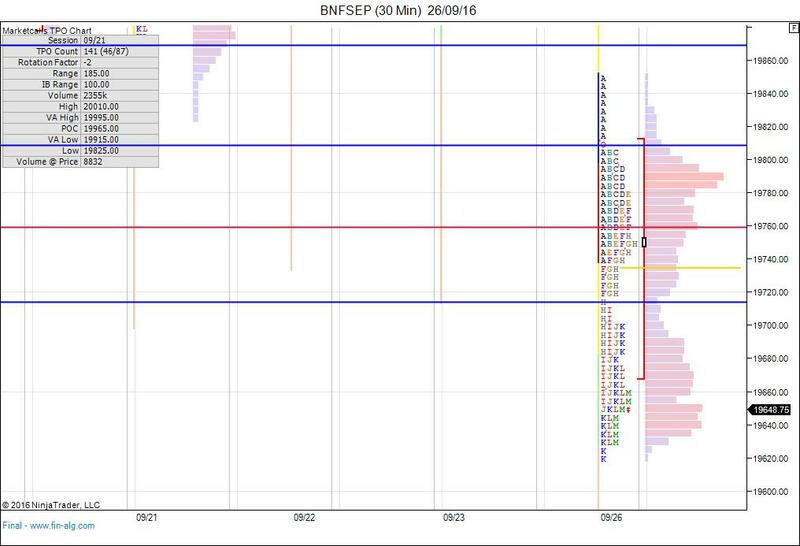 Shorter timeframe sellers are strongly visible at 20650 (poor high), 20570 (Poor High), 20195 (Halfback rejection), 19808 (Mechanical Selling around Open). Shorter timeframe sellers moved the price to the other side of the Daily balance and further continued the tone of the market from weaker sentiment to strongly weaker sentiment. If the sellers are really strong they will maintain the tone negative in the upcoming sessions as well. However if the price is moving back into the consolidation zone suggests that sellers are getting weaker and the confidence of sellers are not great.